I have another confession to make…. I am addicted to candles. We have a large candle in every room in our house and burn them frequently. 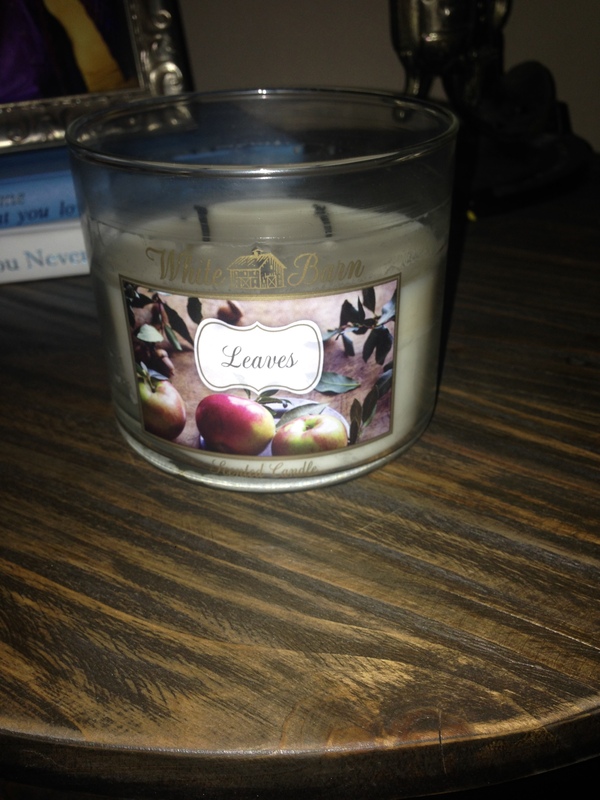 One of my FAVORITE scents is Leaves. It smells so crisp and sweet. I love waiting for the “2 for $22” sale for 3 wick candles at Bath and Body works. PS it is happening RIGHT NOW! PS white barn candles are included!